What are Some Cat Illnesses? Cats can develop upper respiratory infections, which behaves similar to a cold for a human. 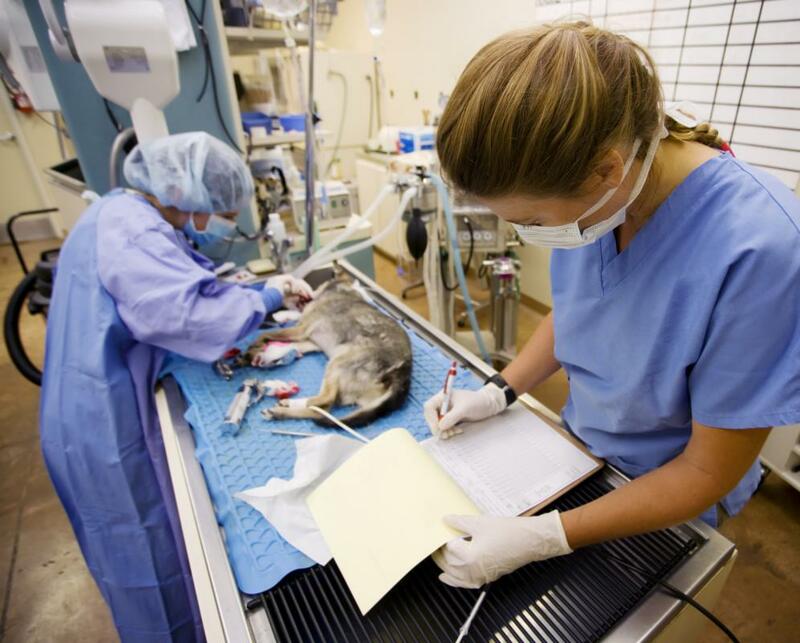 Exploratory surgery can help vets identify the cause of cat diarrhea. Feline panleukopenia is most common in kittens. Cats can get various illnesses. A vet inspects a cat and performs tests to diagnose an illness. There are many types of cat illnesses. One of the most common cat illnesses is arthritis. Arthritis usually affects older cats and causes stiffness and decreased range and fluidity of movement. Unfortunately, no one has discovered a cure for arthritis in cats or in humans, but there are some prescription medications that provide symptom relief. 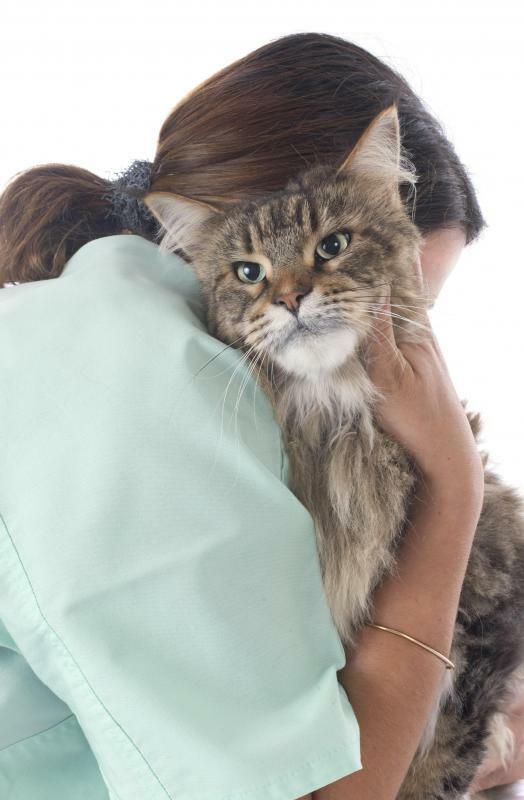 In addition to medication, keeping your cat warm may help to ensure its comfort. Another of the most common cat illnesses is a urinary tract infection. This occurs when bacteria invades the urethra. When cats develop urinary tract infections, they may whine and have more frequent accidents. They may also make more frequent trips to the litter box while also appearing to pass little, if any, urine; often, blood is present in the urine as well. When caught early, antibiotics can be used to treat urinary tract infections in cats; however, if the infection is allowed to grow, it may move on to infect the kidneys, making treatment far more complicated. 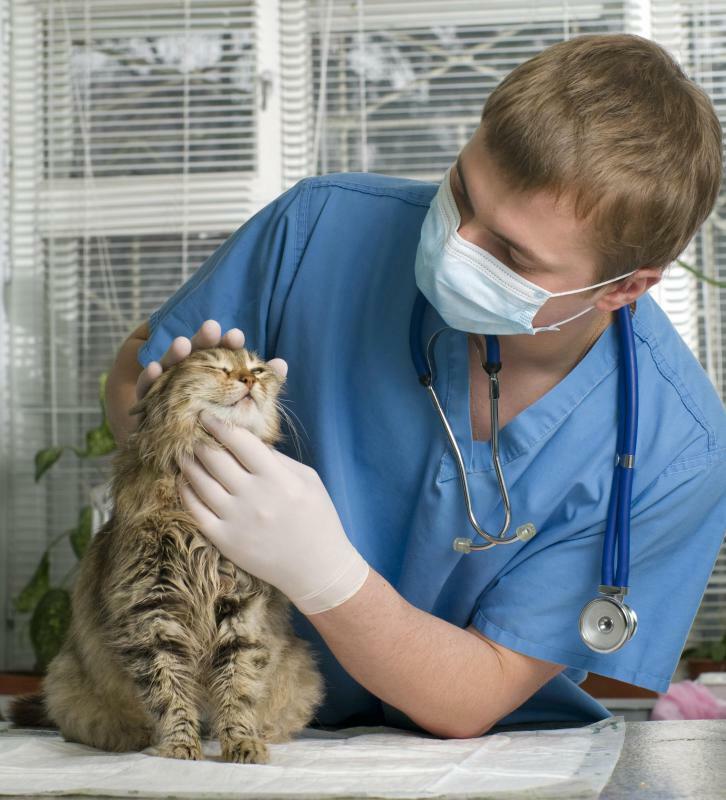 Another one of the most common cat illnesses is an upper respiratory infection. In cats, these behave much like colds do in humans. Fortunately, most cats that stay inside all the time do not come down with them. However, respiratory infections are contagious, and cats can catch them from other cats. Cats with this type of infection will sneeze and have runny noses. They may develop fever and have watery eyes in some cases. Upper respiratory infections are usually caused by viruses, but they may be treated with antibiotics. 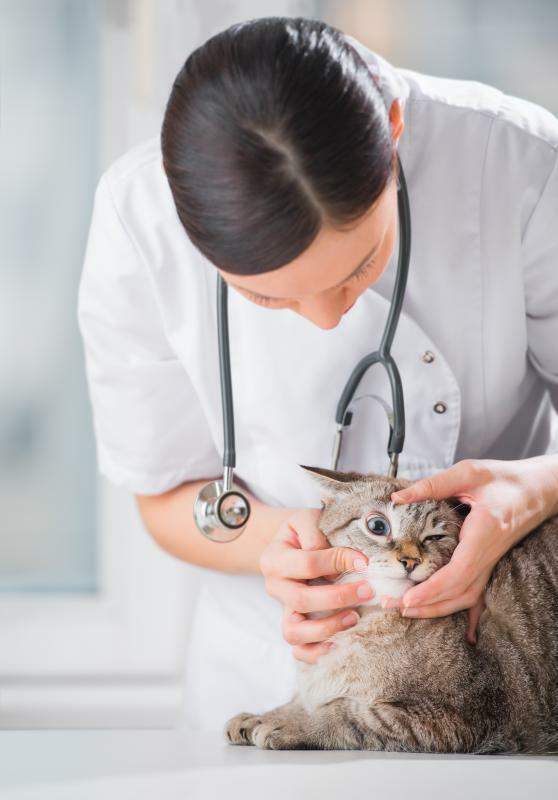 Though antibiotics are not effective against viral illnesses, they can help to prevent the development of secondary infections that may form as complications of this type of cat illness. In some cases, a veterinarian may prescribe medications to help your cat break up mucus and have an easier time breathing. Feline distemper, feline panleukopenia, is also common among cat illnesses. A cat can contract this illness at any age, but it is most commonly found in kittens. 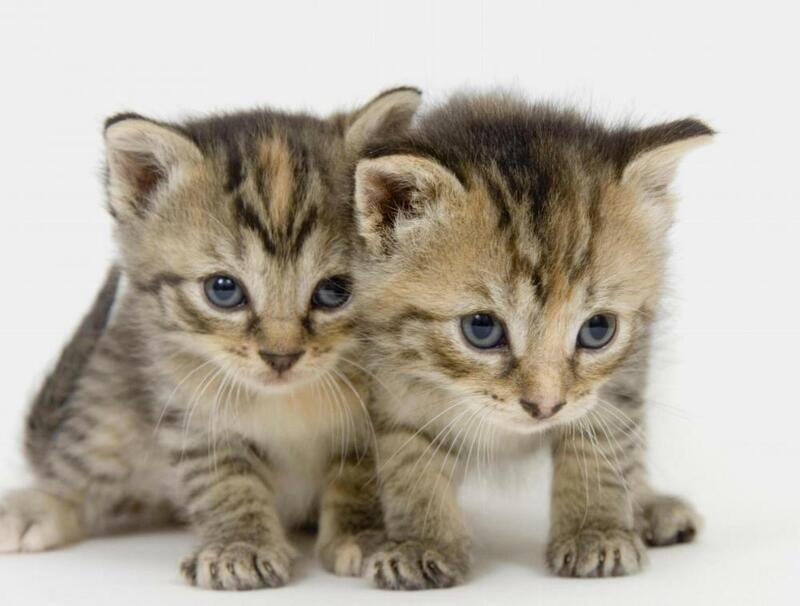 Feline distemper is contagious and can be spread when cats share litter boxes. It can also be contracted from food and water that are contaminated. When a cat has feline distemper, it may vomit and have diarrhea. It may also refuse to eat or drink, and it may become dehydrated. If it becomes dehydrated, its fur may fall out and look dull. Its skin will also appear overly dry. A cat with this type of illness will typically appear listless and lethargic as the illness progresses. Unfortunately, feline distemper is one of the hardest cat illnesses to fight. Cats often die from it within a fairly short period of time. Since it is caused by a virus, antibiotics are ineffective at treating it. However, they may be prescribed to treat secondary infections. Fortunately, there is a vaccine for distemper, which can prevent cats from ever contracting it in the first place. How Do I Prevent Cats from Eating Kitty Litter? What Is the Treatment for Arthritis in Cats? How do I Care for a Sick Cat? How do I Treat Cat Eye Infections? What are the Signs of Pink Eye in Cats? What are the Most Common Causes of Cat Diarrhea? What is a Munchkin Cat? My cat has lost weight, loose stools & is sneezing. Yesterday I also caught her eating the clean litter I had just put in their litter box. She is eating and drinking normally and is still grooming as usual. I don't know what's going on?